Australia is one of the best places in the world if you enjoy solo travelling or are heading out on a solo adventure. This is true for both Australians and international travellers - it's a great place for all soloists, no matter where you're from! 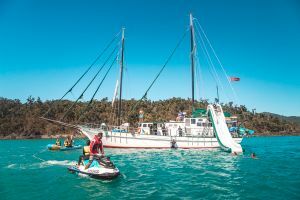 We here at Sailing-Whitsundays love travelling (in both groups or travelling alone!) and have spent a lot of time trekking around this amazing country. Using our expertise and experience, we have created a guide to help you with your solo travels. Solo travel is - you guessed it - when you travel alone. Or at least, you set out alone when you begin your travels. 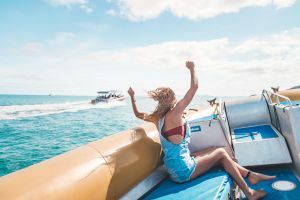 Many solo travellers meet different people along the way, perhaps adopting travel mates for days or even weeks at a time, often collecting an impressive list of friends along the way. But for the majority of the time, solo travellers are either travelling alone or making travel plans for one. Solo travellers come with various budgets and can be found travelling in all parts of Australia. If you're frightened, scared, overwhelmed, confused or oblivious to solo travel, don't worry, you're not alone! It can be a scary task to think about but believe us, there are a lot of perks and it's not as scary as you think! It's actually a lot of fun and well worth the effort. Solo travelling gives you a lot of independence in comparison to travelling in a group or with a friend. You get to do exactly what you want to do, do it exactly when you want to do it, and do it the way you want! This means you choose which towns to visit, how to get there, where you will stay and what you will do once you arrive! Here are some things you will choose from when coming to Australia that you will want to plan ahead of time. Australia has many, many places worth visiting. From Perth to Darwin all the way to Brisbane, Melbourne, Sydney and everywhere in between - there are great destinations all over. It's full of amazingly beautiful cities, towns and landmarks that are unique and have a lot to offer to its visitors. Australia has Ningaloo Reef, Uluru, the Great Barrier Reef, the Whitsundays, Fraser Island, surf beaches, swim beaches, cities, towns and of course, the famous Opera House. 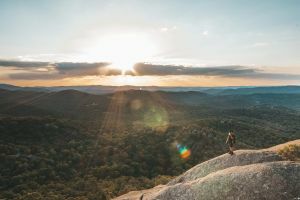 Many solo travellers tend to stick to the East Coast, as it has a lot of town and cities that are close in proximity and tackle a lot of the highlights. Since you're on your own and travelling with only your own budget in mind, you can choose from whatever kind of travel you want. Not within the budget? Don't do it. Dying to try something new? Then go for it. The world (or, Australia in this case) is yours for the taking! There are many types of travellers from honeymooners to luxury travellers to adventure travellers to flashpackers and backpackers. Solo travellers tend to fall in the flashpacker or backpacker categories. A flashpacker has a higher budget than a backpacker and will stay in a mix of accommodation including hotels, Airbnbs and hostels. They will be a little more flexible with their money and how they spend it and can choose comfier tours to go on. A backpacker, on the other hand, will generally be on a tighter budget. Their nights will likely be spent in a shared dorm in a hostel or in a campervan. Tours will often be budget friendly and targeted towards larger groups and have shared accommodation options (if it's an overnight trip). Sometimes, they'll luck out with discounts on certain tours, too, which is a big perk of backpacking. Either way, when you're on your own you can choose to be whatever type of traveller suits you and the budget you're travelling with. Australia is very travel-friendly with many ways to get around the country. You can choose from standard travel methods such as flying and driving or hop on a bus, catch a train or rent a campervan. Flying: There are a lot of flights into major cities and small towns daily all over Australia. Most travellers will fly into a major city and generally start using other travel means from there, such as buses, trains or cars. For East Coast trips, travellers often start in Cairns and work their way south, or start as far down as Melbourne and work their way up. 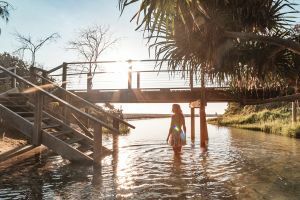 A condensed version of the East Coast trip would be to travel between Brisbane and Cairns, hitting all the highlights along the way. You can check Skyscanner to find the best deals on flights. Bus: There are two major bus companies in Australia which are Greyhound and Premier. Premier operates along the East Coast, while Greyhound operates all over the country. This is probably one of the most cost effective ways to travel and is often utilized by flashpackers and backpackers. Taking the bus allows you to see more of the country and gives you the opportunity to stop into small towns you might not have known about or otherwise would have not seen. Travellers can choose from hop-on, hop-off passes or direct travel passes, depending on their timeline, budget and overall travel plans. Train: There are trains all over Australia. They go to many small towns and communities and also will bring you to all of the major cities. Major train lines are the Tilt Train that runs from Brisbane to Rockhampton, the Indian Pacific that runs from Sydney to Perth via Adelaide, The Ghan that runs from Adelaide to Darwin, Spirit of the Outback that runs from Brisbane to Longreach, and the NSW TransLink that runs from Brisbane to Melbourne. You can plan your train journey using a journey planner. 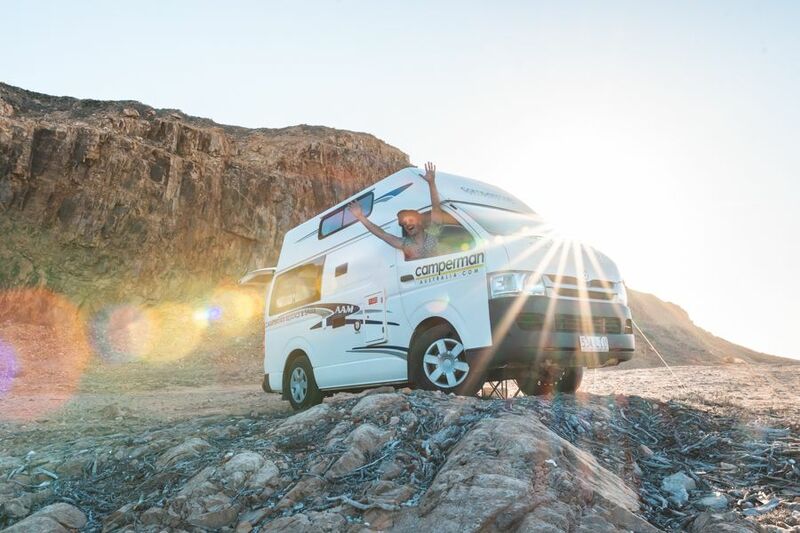 Campervan: Renting a campervan is one of the best ways to really see Australia. You can drive where you want, when you please, only really having to worry about fuel, food and where you'll park at night! A solo road trip is a great experience for those who want a little extra excitement during their Australian travels. Great campervan options for solo travellers are the 2 person Beta 2s Camper, the Awesome Classic Camper, or the 2 Person Jucy Campervan. 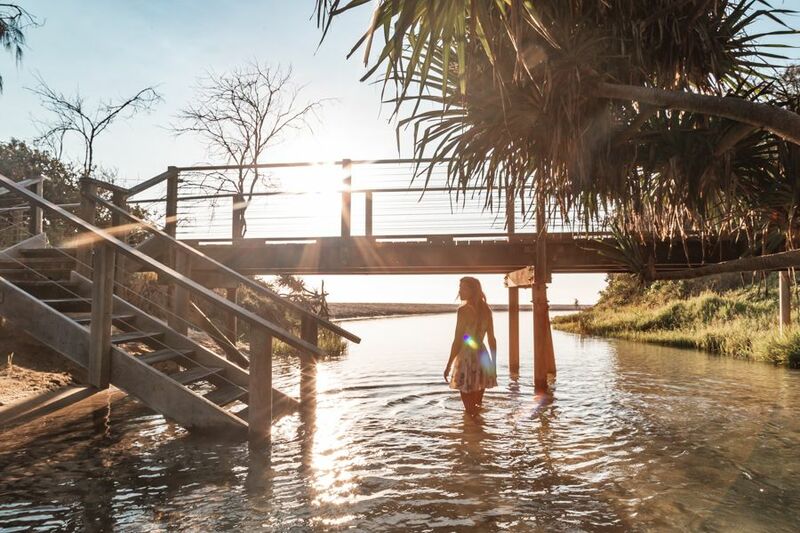 If it's your first time on a solo trip to Australia, you might be wondering where to start. We have a list of tips to help you plan your trip and ensure you have the trip of a lifetime. If you're travelling alone, make sure you plan ahead! Planning a solo travel itinerary is the key to your travel success - you are the only one responsible for your trip and what you do! Before setting out on your travels, make sure you know where you're going and how you intend to get there. It's a good idea to sit down and analyse your budget to make sure you plan effectively. This will help you decide what types of tours you will go on, what type of transit you will choose from and what kind of accommodation you will stay in. The further ahead you book, the better off you'll be. By booking ahead of time, not only will you have a well thought out plan, but you will also save money, beat the rush, and also increase the chance of getting accommodation or product you want. Some tours, hotels and hostels book out months in advance, depending on popularity and time of year. If you're travelling alone, we recommend staying in hostels along the way. They are cost effective and are often found in great locations that are close to the action. More importantly - they are a great place to meet people! Hostels are like small communities that are found all over the country that have a real sense of belonging and are a great social space! Hostels often have a variety of room types from large dorm-style rooms, twin share, private rooms and rooms with ensuite bathrooms. Some hostels have kitchens and restaurants, washing machines, dryers and swimming pools! Hostel life is a very diverse one, with different styles found all over the country. However, one thing remains the same, some of the greatest stories and lasting friendships begin in Australian hostels. The common rooms, beer gardens, swimming pools and dorm rooms are where adventures begin and travel mates are found. You will learn so much about the world and its cultures by living the hostel life, surrounding yourself with its global citizens and interesting people. And it doesn't hurt that they are cheap and easy to find! Solo travelling does not need to be synonymous with loneliness. You can choose to spend all of your time surrounded by people by staying in hostels, joining backpacker tours or spending your nights in crowded bars if that's what you want. But we also suggest embracing the 'solo' part of solo travel some of the time. 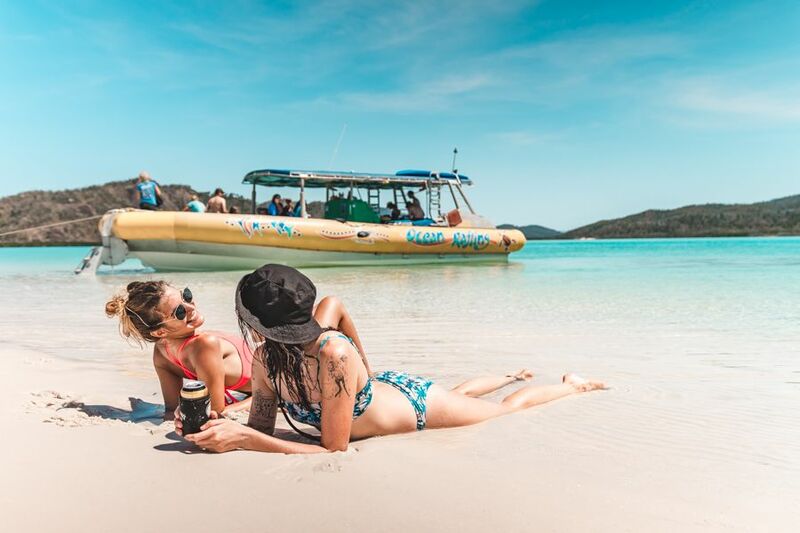 Enjoy time on the beach for as long as you want... rent a private room and sleep in as late as you can... or hop on a tour and get yourself a cabin to yourself so you can have a full bed to stretch out in! Solo travelling gives you the freedom to be alone and enjoy your own company. Chat with the travel experts. Do the research. Find out what it is you want to do, and do it. There is a lot to see and do, but don't be overwhelmed. Choose the things you want to do and stick to your guns! This is your trip after all, if you don't do what you want, why even do it? 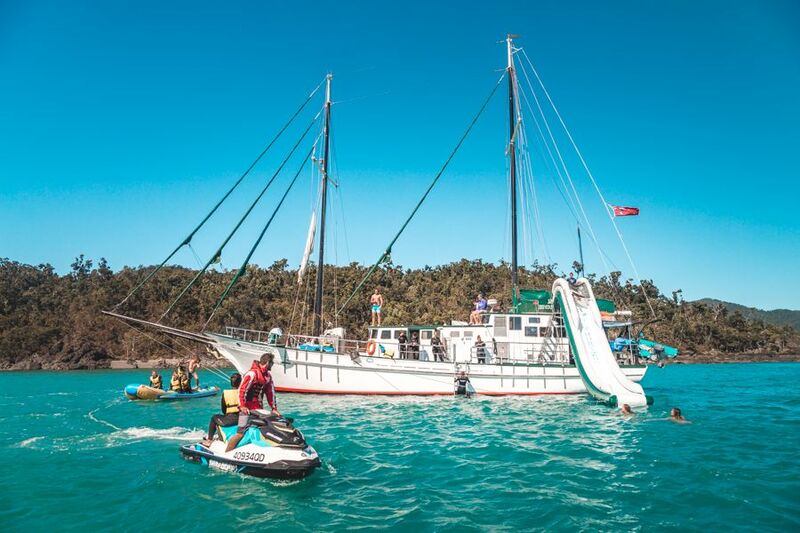 If you like partying, be sure to visit Cairns, Airlie Beach, Surfer's Paradise and Byron Bay. If you like surfing, check out Noosa, the Gold Coast and Sydney. 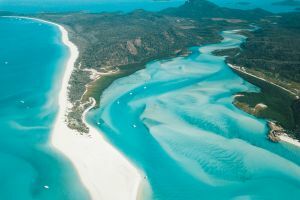 If you like the ocean, check out the Great Barrier Reef and the Whitsundays. 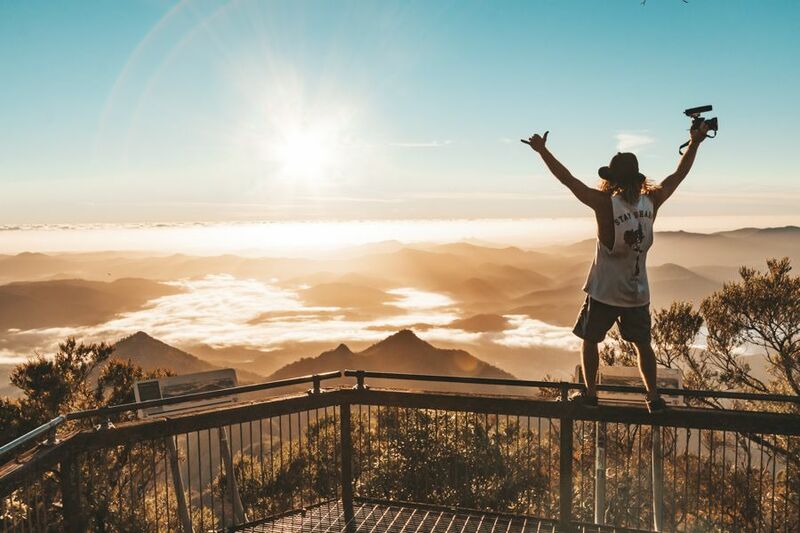 Outdoor enthusiasts will find something to do in pretty anywhere in Australia, but top spots for those of you who live outdoor adventure would be Cairns, Cape Tribulation, Airlie Beach, Mission Beach, Fraser Island, Byron Bay, the Great Ocean Road, Adelaide, Ningaloo Reef and Uluru. But why is Australia so great for solo travellers? 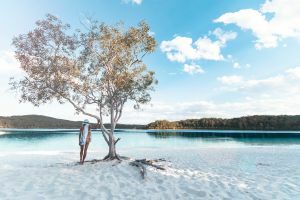 Now you know the ins and outs of solo travelling, let us tell you why you should do so in Australia! Not only does this amazing continent have an almost uncountable amount of amazing destinations to visit, it also has accessible transit, a booming tourism industry and is extremely travel friendly, all of which make it a great place for someone setting out on their own. It's got a market for all types of travellers too, whether you're young, old, male, female, backpacking, flashpacking, budgeting or splurging. Australia is a gold mine of amazing destinations. You probably already know some of the major bucket-list items that you're dying to see! Think about the Great Ocean Road, the Sydney Opera House, the beaches of Byron Bay, the skyscrapers of Brisbane, Whitehaven Beach, the Whitsunday Islands, The Great Barrier Reef, Uluru, the Red Centre... The list goes on. For every place you already know of, there are 10 more you don't even know about yet. 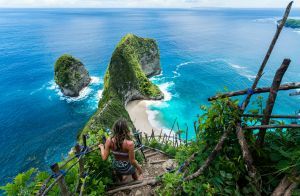 When you're travelling alone, you'll be surprised how many places you will fall in love with that you haven't even heard when you begin your planning. Organised tours are a booming business in Australia. They offer a way to explore with comfort and ease with someone who knows what they are doing, allowing you enjoy your chosen destination at its best. Joining a tour is a great option when solo travelling as you get to relax a bit and meet new people at the same time. Booking in advance is the key to ensuring you get on the tours you want and seeing the places on your travel list. 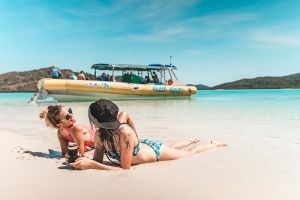 Top spots you will definitely want to book tours for are Uluru, The Great Barrier Reef, The Whitsundays, Fraser Island, Whale Watching in Hervey Bay and the Noosa Everglades. There is no shortage of ways to get around Australia. If you're arriving on an international flight you will likely begin your travels from Adelaide, Sydney, Melbourne, Brisbane, Gold Coast, Cairns or Perth. No matter where you start, there is always a way to get to where you're going. Australia is a relatively safe country. As far as law enforcement goes, everything is top notch and highly regulated. You can call 000 from anywhere in the country if you ever need to talk to the police or have an emergency, but as a general rule crime levels are very low. It is ranked the 10th safest country out of 162 countries. The largest threats to tourists are natural ones such as UV exposure, riptides and the flora and fauna. These threats to travellers can be easily avoided by being vigilant and being aware of your surroundings. Wear sunscreen, swim between the flags at beaches, avoid dangerous swimming areas, wear stinger suits when snorkelling, and watch where you step! Educate yourself on the towns and places you are travelling to so you're prepared for whatever is coming your way. A majority of Australia is warm year-round. Inland areas and southern towns and cities experience winter weather, but the rest of the country has an agreeable climate most of the time. For the most part, you can travel a lot of Australia with little more than a light jacket. 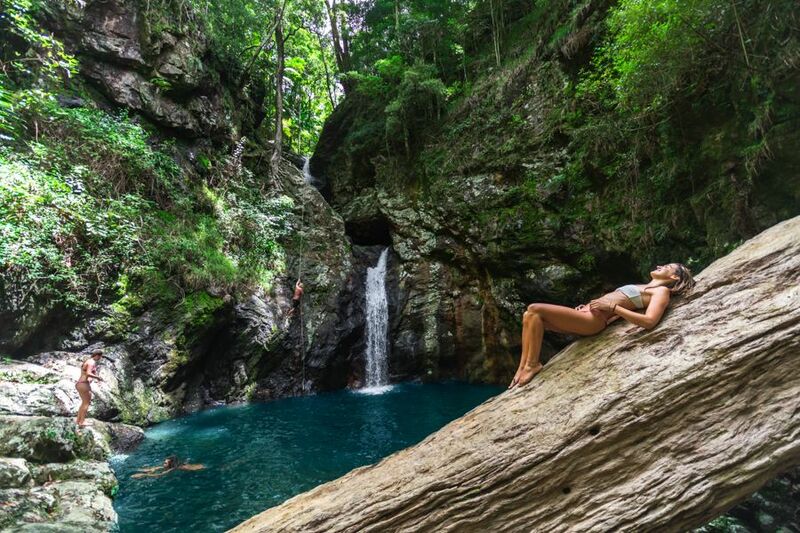 In the event you want to spend your travels in all warm weather, plan around the seasons, ensuring you spend your summer in the south and winters up north. And if you're into cold weather only, perhaps consider somewhere with a chillier climate. 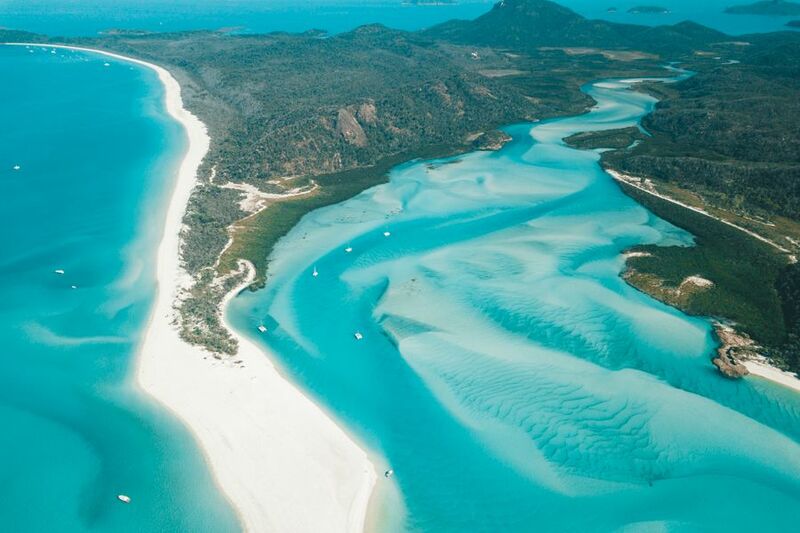 Australia is a solo travellers paradise. It has friendly people, amazing destinations, reefs, rainforests, beaches, deserts, lakes, mountains and cities. It's easy to travel in, has cool animals and plants, has a great climate and is known for putting off a pretty good BBQ. What else could you ask for? Hit the chat button if you have any more questions, and we'll be happy to help you out. Can my flight get bumped?